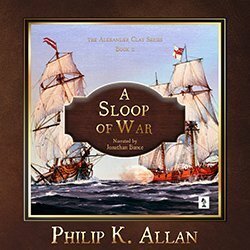 Fast-Paced Historical Naval Thrillers — Philip K. Allan is an exciting author who comes from Watford in the United Kingdom. A few years ago he left his career as a senior manager in the motor industry, where he’d spent most of his working life, to concentrate on his novels full-time. Philip studied the 18th-century navy as part of his history degree at London University. It ignited a lifelong passion for the era, which stretched from the age of piracy via Cook’s voyages of exploration to the battles and campaigns of Nelson. A member of the Society for Nautical Research and a keen sailor, Philip now enjoys exploring the subject’s unrivaled potential for storytelling through his own writing. On the one hand there is the strange, claustrophobic wooden world of the period’s ships, and on the other hand there is the boundless freedom to move those ships around the globe wherever the narrative takes them. Philip’s inspiration for his Alexander Clay series comes from novelists like C. S. Forester and Patrick O’Brien. His prose is heavily influenced by O’Brien’s immersive style, with its meticulously researched period language and authentic nautical detail to draw the reader into a different world. But the Alexander Clay books also bring something fresh to the genre, offering a cast of fully formed lower-deck characters along with their officers. Think Downton Abbey on a ship, with the lower deck housing the below-stairs servants. Philip lives in Hertfordshire with his wife and his two teenage daughters. When he isn’t writing, he plays golf, goes skiing, and loves to cook and entertain. Read Philip in Naval History Magazine. Book 5 of the Alexander Clay series. Newly returned from the Battle of the Nile, Alexander Clay and the crew of the Titan are soon in action again, just when he has the strongest reason to wish to abide in England. But a powerful French naval squadron is at large in the Indian Ocean, attacking Britain’s vital East India trade. Together with his friend John Sutton, he is sent as part of the Royal Navy’s response. 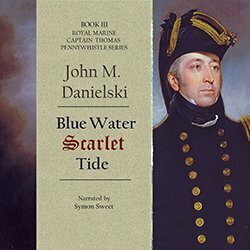 On route the Titan runs to ground a privateer preying on slave ships on the coast of West Africa, stirring up memories of the past for Able Sedgwick, Clay’s coxswain. They arrive in the Indian Ocean to find that danger lurks in the blue waters and on the palm-fringed islands. Old enemies with scores to settle mean that betrayal from amongst his own side may prove the hardest challenge Clay will face, and a dead man’s hand may yet undo all he has fought to win. Will the curse of the captain’s nephew never cease to bedevil Clay and his friends? Book 4 of the Alexander Clay series. In 1798, Alexander Clay and his ship, Titan, are sent to the Mediterranean to investigate the rumors of a French army and fleet under Napoleon Bonaparte. When Admiral Lord Nelson arrives from Britain with reinforcements, Clay and Titan join Nelson’s fleet heading for Southern France. But on their arrival, they discover Bonaparte’s fleet is gone, and Nelson, aware of the dangers of an ambitious and ruthless general, orders an all-out hunt for Bonaparte’s armies before it is too late. As Titan searches for Napoleon’s forces, another threat has already gained passage on the ship. 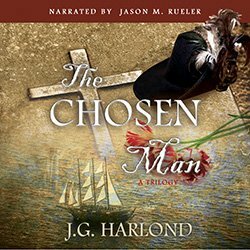 After engaging and destroying a Russian Privateer, the crew capture a mysterious stranger, claiming to be an English sailor who has been serving from childhood on Barbary ships. Shortly after he joins the ship, there begins a rash of thefts followed by the murder of another sailor. With the officers baffled as to who is behind this, it falls to Able Sedgwick, the Captain’s coxswain and the lower deck to solve the crime. Book 3 of the Alexander Clay series. Newly promoted to Post Captain, Alexander Clay returns home from the Caribbean to recover from wounds sustained at the Battle of San Felipe. However, he is soon called upon by the Admiralty to take command of the frigate Titan and join the blockade of the French coast. But the Titan will be no easy command with its troubled crew that had launched a successful mutiny against its previous sadistic captain. Once aboard, Clay realizes he must confront the dangers of a fractious crew, rife with corrupt officers and disgruntled mutineers, if he is to have a united force capable of navigating the treacherous reefs of Brittany’s notorious lee shore and successfully combating the French determined to break out of the blockade. Book 2 of the Alexander Clay series. The second novel in the Alexander Clay series is set on the island of Barbados, where the temperature of the politics, prejudices, and amorous ambitions are matched only by the sweltering heat of the climate. After limping into the harbor in the crippled frigate the HMS Agrius, accompanied by his French prize, the equally battered Courageuse, Clay meets with Admiral Caldwell, the Commander in Chief of the island. The admiral is impressed enough by Clay’s engagement with the French man-of-war to give him his own command on the HMS Rush and send Clay to blockade the French island of St Lucia and to support a landing by British troops to attempt to take the island from the French garrison. The crew and officers of the Rush are repeatedly threatened along the way by a singular Spanish ship, in a contest that can only end in destruction or capture. And from the ranks, comes an accusation of murder leveled against Clay by the nephew of his former captain. Book 1 of the Alexander Clay series. 1790s Europe is embroiled in a battle for control of the sea and colonies. 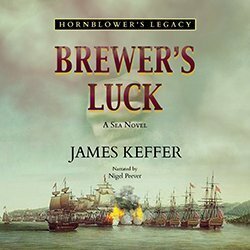 Tall ships navigate familiar and foreign waters, and ambitious young men without rank or status seek their futures in Naval commands. First Lieutenant Alexander Clay of HMS Agrius is self-made, clever, and ready for the new age. But the old world, dominated by patronage, retains a tight hold on advancement. 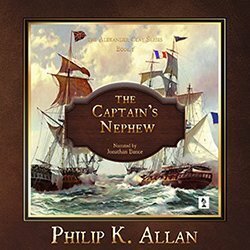 Though Clay has proven himself many times over, Captain Percy Follett is determined to promote his own nephew. Before Clay finds a way to receive due credit for his exploits, he’ll first need to survive them. 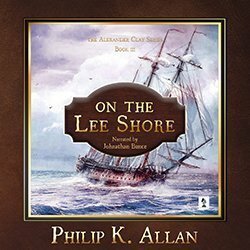 Ill-conceived expeditions ashore, hunts for privateers in treacherous fog, and a desperate chase across the Atlantic are only some of the challenges he faces. He must endeavor to bring his ship and crew through a series of adventures stretching from the bleak coast of Flanders to the warm waters of the Caribbean. Only then might high society recognize his achievements—and allow him to ask for the hand of Lydia Browning, the woman who loves him regardless of his station.